The Valley of the Temples in Agrigento is a beautiful place to visit in Sicily and it was also one site I really wanted to include in my travel experience. I rented a car and toured the island of Sicily in the south of Italy for one week and it really was a marvelous week. I had the chance to visit places like Palermo, Siracusa, Agrigento, Catania, Erice and other incredible places. This journey through Sicily felt a bit like coming home to this island where people still celebrate nature, good food, family values and take care of those things like they are sacred because maybe they kind of are. Below I added some photographs of the Valley of the Temples, a beautiful archeological site in Agrigento famous for its ancient Greek art and architecture which made it part of the UNESCO World Heritage List. 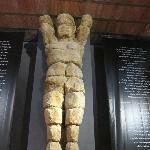 Also make sure you visit the archeological museum of Agrigento where you will be able to view some of the relics. Did you enjoy Valley of the Temples Agrigento Sicily and have you been on a holiday in Agrigento, Italy?